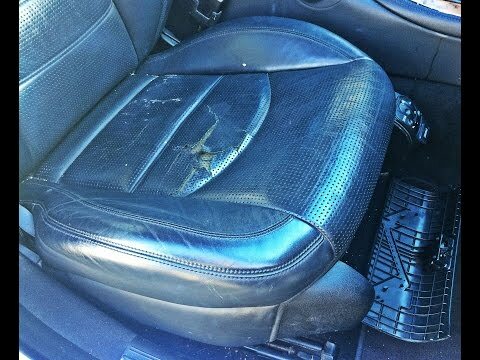 Car owners know all too well the problems with having a vehicle with cracked leather seats. However, a new viral video from Sweet Project Cars shows owners how to quickly fix those seats in less than 10 minutes. To some, maintaining a car’s appearance is at the top of their list of priorities. They spend countless hours bathing their buggies in the warm sun and waxing until the exterior is glowing. And they won’t take their baby out for a spin until it’s in tip top shape. But, sometimes the hardest part of maintaining a vehicle is keeping up with the interior. 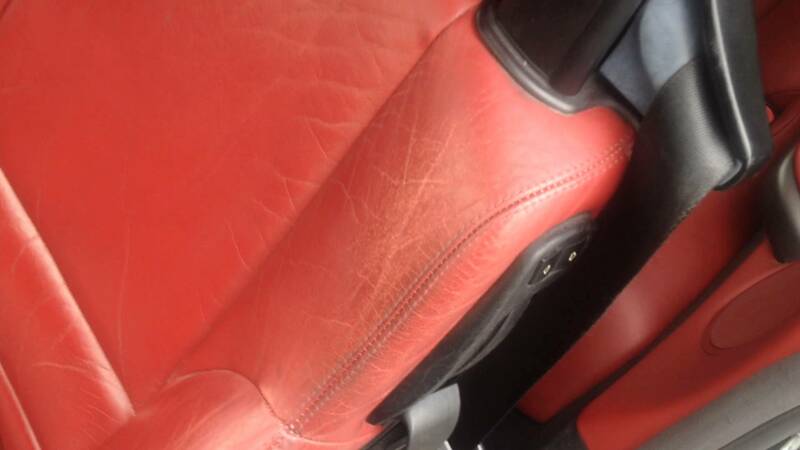 If you have leather seats in your car, then you know how they get after years of wear and tear. They start to crack and look wrinkly much like your skin as you get older. But, the good news is that there is a way to fix this problem. And guess what…it only takes ten minutes and it doesn’t cost a whole lot. 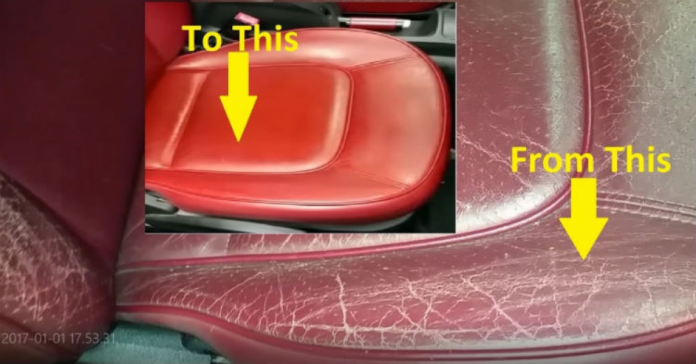 Because the majority of leather seats are colored, then the first thing you want to do is spend a little time searching for a spray paint that matches fairly close. You’ll also need some Lacquer Thinner and an old towel. First of all, spray a little bit of the paint on the towel, and then pour a little bit of the Lacquer Thinner on the towel. The thinner serves a purpose and it pulls the paint in the seat up, which helps it blend with the new color that you use. This allows you to maintain the natural color and not have to change it up all that much. You’ll then rub the towel gently along the leather, and watch as the leather gains an entirely new appearance. The cracks disappear and in their place is a shine that looks sleek and appealing. The more times you go over the leather, the more cracks you will heal. Your best bet is to let it sit for a day before going back over it with the paint/lacquer combo. When you feel like you have reached a smoothness to your liking, then you can use your leather and plastic conditioner. The teacher in this video recommends 303 Protectant as he believes it is the best of the best. Also, one of the reasons that seats crack in the first place is when protectant isn’t used. So, it’s best to use a protectant if you want to maintain the life of your plush leather seats. Next articleShe Thought Popcorn Was Stuck In Mouth, But What They Pulled Out Of Her Jaw? SHOCKING!! She Thought Popcorn Was Stuck In Mouth, But What They Pulled Out Of Her Jaw? SHOCKING! !